Embossing allows you to create an impression without using any ink. You can “emboss” by pressing the image up or “deboss” by pressing the image down into the paper using custom made dies. 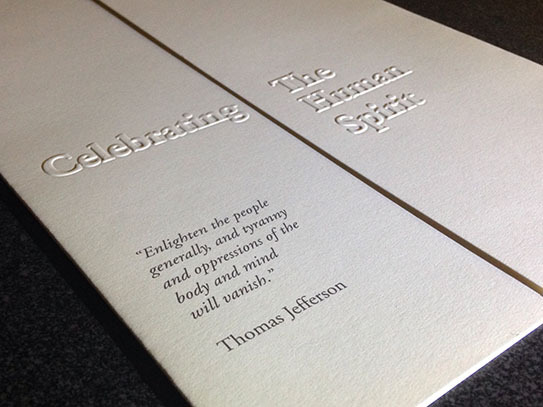 At Kinker Press, inc. these subtle techniques are used to create a reverent piece with a tactile flair. Let us show you how your project can take on another dimension.